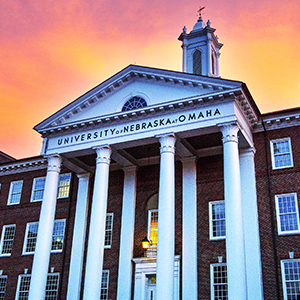 The History Department at UNO is a dynamic community of scholars, teachers, and students located in the heart of the Great Plains and Midwest. Undergraduate and graduate students develop innovative research projects and pursue historical inquiries all over the world. Many of our students have received internal and external grants that provide funding for travel to conduct original research and present at conferences. Find out more about these opportunities here. The full time Hisotry faculty have produced vibrant scholarly work through article, essay, and book publications. Facculty have been featured on film, television, and radio programs, and contributed to public forums, newspaper and magazine articles, and programs in the Omaha areas and state of Nebraska. Scholarship and teaching interests range widely and include the Ancient World, Medieval Europe, Latin America, modern Europe, United States, American West, and North American Indigenous History. They specialize in immigration, religion, urban, race, women and gender, legal, military, borderlands, and Holocaust studies. Read more about faculty research and recent publications here. ﻿Megan Huerter (History M.A., 2014) received a Graduate Research and Creative Activity Grant (GRACA) to conduct research and complete her Master's﻿ Thesis: "Aiding the Refugees: The Work of Voluntary Agencies and the Realization of the Cuban Refugee Program, 1959-1965."